Linksys Velop is a modular Wi-Fi mesh system of nodes built to provide Wi-Fi coverage throughout your home. It sets up in minutes, and delivers a full-strength signal from one end of your home to the other, no matter its size. Simply add additional nodes to work around walls, problem areas, or multiple stories. Each Velop node is a powerful Tri-Band connection point offering up to 2,000 square feet of coverage. Linksys Velop. Image credit: Linksys. With Dynamic Tri-band technology and a combination of three Wi-Fi radios, Velop provides faster speeds and load balancing. Whether you’re streaming 4K content, gaming, or video chatting, Velop delivers fast, dependable Wi-Fi to ensure optimal performance even when multiple Wi-Fi devices are connected. 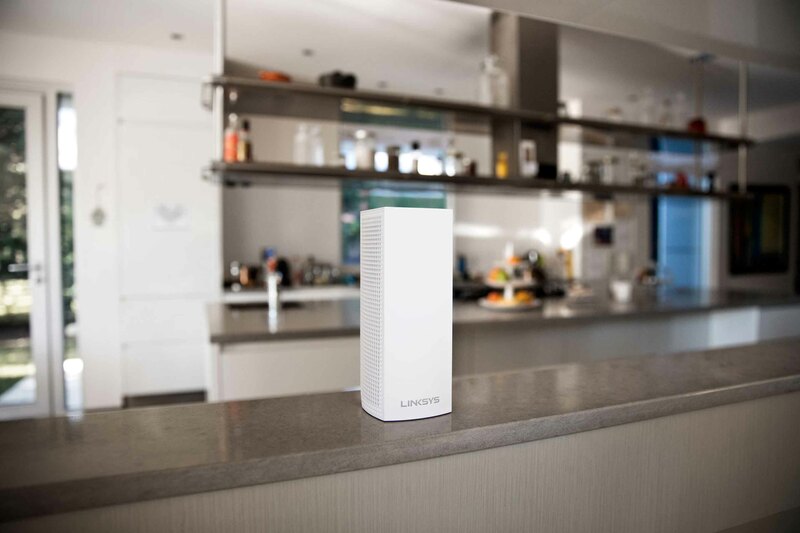 Moreover, its modern design allows Linksys Velop to blend with your home decor to keep the aesthetic clean, and you, connected.